Never a company satisfied to sit back and be content with the way things are, Google has made some changes to its mobile search engine to give you more options. Originally introduced Tuesday for use on desktop computers, Google has made the same improvements to its mobile version, but only if you use Google.com in the U.S. on a iPhone or Android device. On the results page, click on the button to the left of the search box to get some new options which will allow you to refine your search. 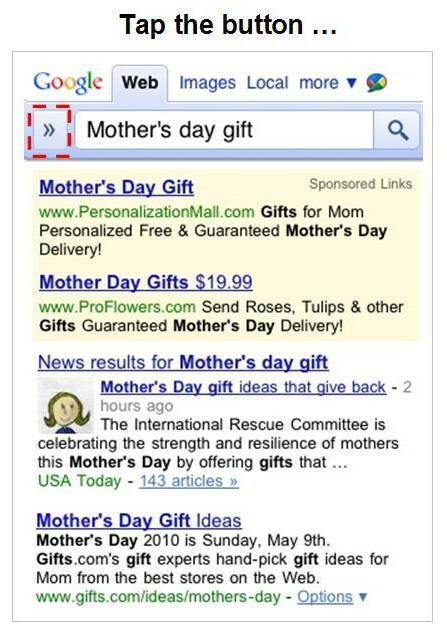 For example, check out the examples below of a Google search on "Mothers Day Gift". Once the original results come up on your phone, tap on the box with the two little arrows in it (picture on left) and a list of options appears down the left side of the page (picture on right). 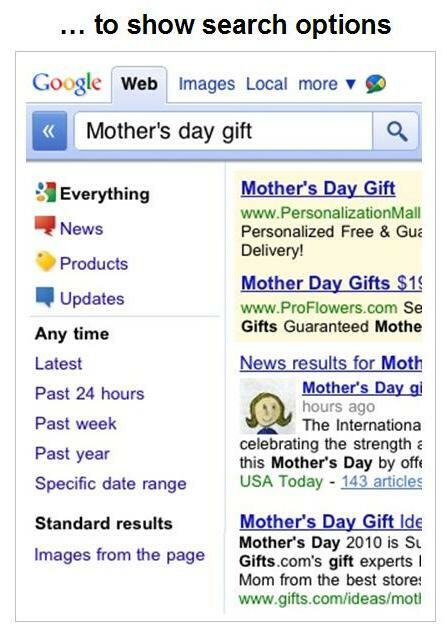 If you want recent results for "Mothers Day Gift", you can click on the option marked "Past Week". Other possible selections include Latest, Past 24 hours and you can even enter a specific date range that you want searched. The Mountain View based company says that it will expand the number of choices and options and support more devices and locations in the coming weeks.